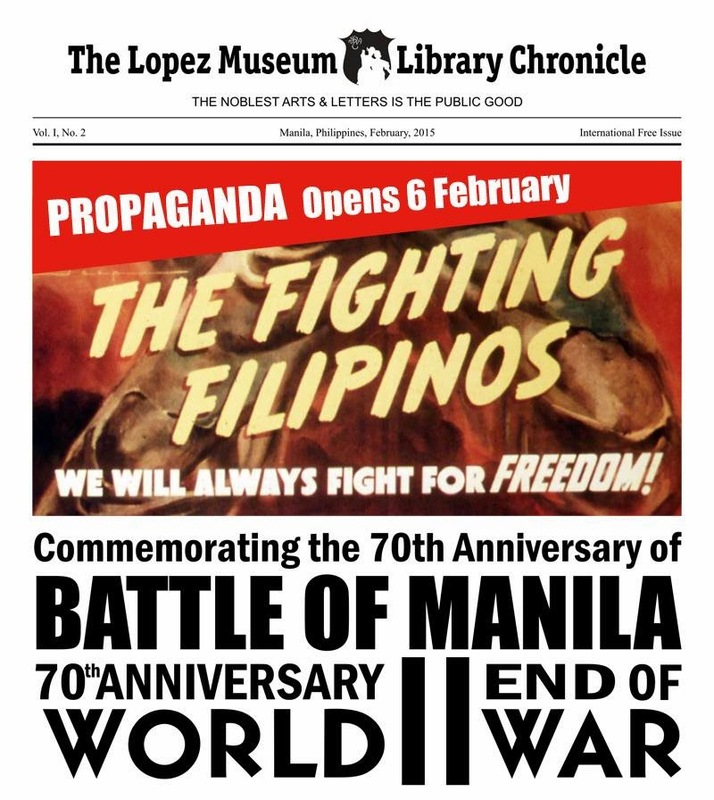 The Lopez Museum and Library, in a technology partnership with Samsung, is opening its first exhibition for 2015, entitled Propaganda, on February 6, 2015. The exhibition fleshes out the idea of myth-making and its capacity to inspire change or derail genuine national progress. Using state-of-the-art Samsung equipment and programming to enhance the museum-going experience thru digital technology, it is an exhibition that challenges not just our notions of art and history, but also how we view museums and libraries. Ricky Francisco, co-curator of Propaganda, said the exhibition was conceived more than a year ago to commemorate the 70th anniversary of the end of World War II with Don M. Salubayba, 2009 CCP Thirteen Artists Awardee and one of the most promising artists of his generation. Salubayba unexpectedly passed away during the planning process and the exhibition evolved to be also a tribute to him. The exhibition includes a few of his important works such as Pagsasabuhay, Abysmal Abound: Trinity of Passiveness, and his “anino-mation” (shadow puppetry) A Not so Giant Story (Legend of the Philippines) that have been sourced and borrowed with the help of Tin-aw Artists Management. Co-curator Ethel Villafranca says that this exhibition invites visitors to “reflect on where we, as a country, have been and where we are going”. Francisco adds, “We hope that this would help the public become more critical of all the propaganda they will be exposed to once the nation is plunged into the campaign period for the 2016 elections”. In this way, Propaganda aims to engage the public, challenge them to see the connections in history and culture within the objects in the collection, and be more discerning when presented with information, whether political or otherwise. Propaganda will run from February 6 to May 30, 2015 and is presented with support from Samsung Philippines, Tin-aw Artists Management, the heirs of Doña Narcissa de Leon (LVN collection), and ABS - CBN Film and Media Archives. For more information, call Tina at 6312417 or email lmmpasig@gmail.com. Lopez Museum and Library is at the G/F Benpres Bldg., Meralco corner Exchange Road, Ortigas Center, Pasig City. Museum and library hours are 8-5pm Mondays through Saturdays except Sundays and holidays.